It’s the ‘invisible’ disease nobody wants to talk about, and few know how to treat, but sufferers of a debilitating and often misunderstood condition have found some hope in the federal government’s announcement last week of a National Action Plan for Endometriosis. 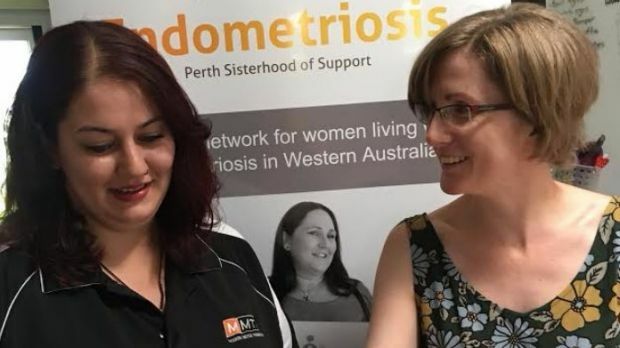 Perth sufferer Joanne McCormick co-runs a “sisterhood of support” group on Facebook, and said she “bawled her eyes out” when Federal Health Minister Greg Hunt announced the plan which will seek to improve the treatment and awareness of endometriosis. 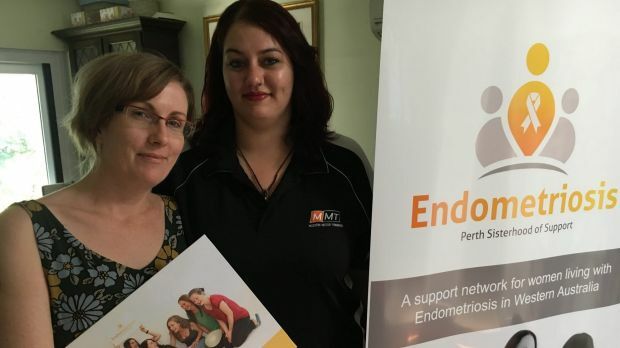 Endometriosis sufferers Joanne McCormick and Monique Alva run a support group for Perth women. Photo: Kate Hedley. “I was elated,” Joanne said. “To get that validation on a federal level made the last four years of sacrifice involved in running a support group and pushing to create awareness worth it. 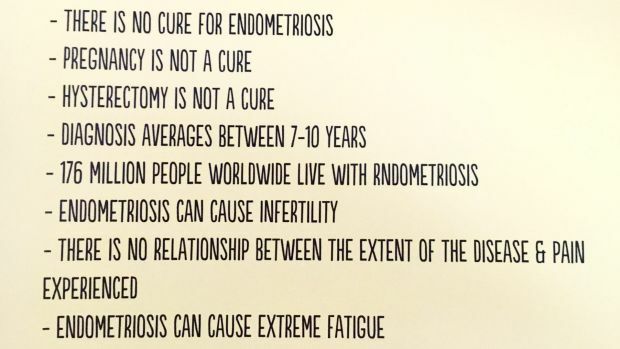 There are many myths and misconceptions surrounding endometriosis. Endometriosis, which affects one in 10 Australian women, is a condition that occurs when cells similar to cells that line the uterus grow outside the uterus. It’s difficult to diagnose, with many women suffering for years before getting answers from doctors about symptoms commonly referred to as “period pain”. Joanne was in her 20s when her “endo” journey started. Collapsing at work one day, she was told she had a stomach virus, that it was “all in her head”, that “everyone got period pain”. When Joanne was finally diagnosed she was told to try and start conceiving as soon as possible. Endometriosis commonly leads to infertility in women, but at 21 Joanne wasn’t ready for children and felt pressured to start a family. The condition ultimately led to infertility for the Perth woman, but only after IVF treatment left her unable to walk from the severe pain. “I’ve spent lots of hours on the bathroom floor in tears,” Joanne said. The National Action Plan for Enometriosis aims to improve the lives of sufferers, with Mr Hunt offering an apology to women who have suffered in silence for so long. “This condition should have been better acknowledged and acted upon long ago, but today we are taking action so the struggle that women face will no longer be silent or their battles private,” he said. The government will also spend $160,000 on research and genomics investigation in the hope this will lead to better outcomes for women. “It’s such a relief,” Joanne said. “So many of us have been disbelieved in the past or told it’s all in our heads. Joanne’s online support group – endoperthsisters.com – which she runs with fellow endometriosis sufferer Monique Alva, has more than 800 members. “Endo is very isolating,” Joanne said. The group, which has been running since 2013, runs workshops and support meetings, and runs the occasional social media campaign to raise awareness. It’s a group no woman wants to have to join, but one that has been a source of support for many in Perth. Members praised the introduction of the endometriosis plan, and said they looked forward to increased awareness surrounding their condition. “There’s a long way to go. A really, really long way to go.